You probably know a person or two that brags about how good of a multitasker they are. Especially in today’s “hustle and grind” work culture, you’ll see them typing away on their phone while walking, driving, sitting in a meeting, or even making a phone call. Because of this braggadocio, you may even still feel the temptation to squeeze out just a little bit more productivity by trying to pair two items from your to do list or calendar together. You can’t multi-task. Not really. And neither can anyone else. We know from several really well conducted studies into human psychology and brain science that we don’t actually multitask. Not in the sense that we’re doing two activities at the same time with sufficient focus. Instead, the human brain “task switches” constantly between the two different demands vying for its attention. And it doesn’t switch all that well. 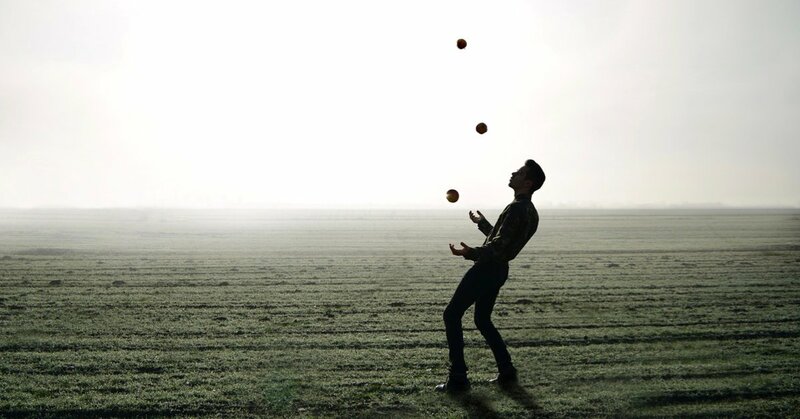 Think of task switching as less like multi-tasking and more like juggling. You have a couple different balls in the air, but you’re only really touching one at a time. You’re catching and releasing quickly and hopefully paying just enough attention to the other balls that as they’re coming down you can swoop in and catch a new one just after releasing the prior. The transition between activities in task switching isn’t seamless. It costs the brain a few moments of time to adjust every time you switch. By some estimates, when you attempt to multi-task you actually end up taking 40 percent longer to finish then you would giving one task your complete attention at a time. The juggling—and ball dropping—analogy also gives us a clue as to when we canget away with multi-task-switching. If you’re comfortable dropping one of the balls, then go for it. But make sure you’ll drop the right one. In other words, make sure you pair cognitively demanding tasks with ones that aren’t cognitively demanding or at least aren’t that costly. Listening to an audiobook while working out, or working through your email box, are good examples. Yes, retention might suffer, but so long as it’s not vital you retain every idea in the book, it’s okay.